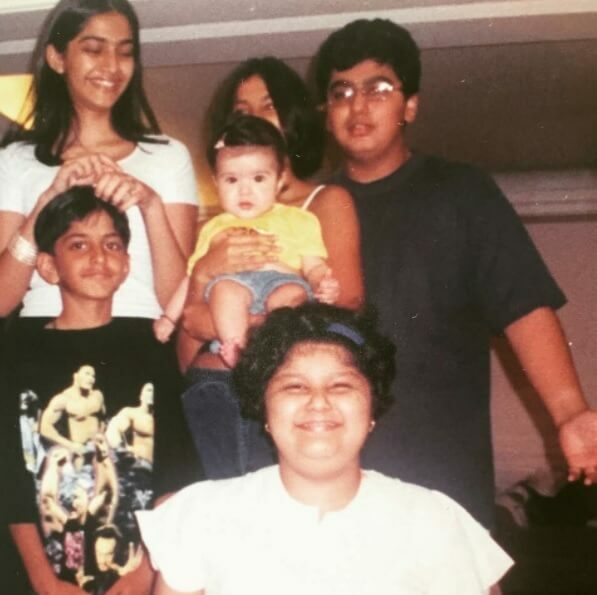 Nothing can be more nostalgic and affectionate than throwback pictures and Arjun Kapoor’s latest glimpse of his childhood with cousins Sonam Kapoor, Rhea Kapoor and others bears a testimony to the fact. Arjun shared a picture with his siblings on Instagram and since then netizens cannot seem to overcome the adorable value of the picture. Arjun’s title for the picture is what every Indian would have on their mind as the innocent smiles of the siblings during their growing-up days is far from being easily recognizable. Arjun has been actively sharing pictures of himself, friends and family quite often on social media. But this endearing image has the quality of making the day for many for its high nostalgic value that would remind one of their own childhood days with cousins posing for the cameras, just like the Kapoor kids do in this picture. Arjun has been looking at several professional projects off late, his latest being Mubarakan that has had a good box office collection as well. He starred with Anil Kapoor, Athiya Shetty and Ileana D’Cruz and donned a double role as Karanveer and Charanveer Singh where the characters were not brothers, unlike the usual Bollywood trope. This was Arjun’s second time in essaying a double role – his first was in 2013’s crime-thriller, Aurangzeb. However, this was the first time he played the role of Anil Kapoor’s nephew in Mubarakan, reprising their real-life uncle-nephew relationship. Sonam, on the other hand, is busy with her upcoming film, Veere Di Wedding, which will also star Kareena Kapoor and Swara Bhaskar among others.